Presenteeism, according to one recent research report, is ten times more costly to business than absenteeism. Presenteeism is what happens when employees show up for work but put forth significantly less than a full effort. This is not a new phenomenon. I’ve witnessed it anecdotally in various work settings throughout my career. The cult-classic film “Office Space” provides an entertaining depiction of presenteeism. In fact, to be totally honest, there have been days in my working life when I’ve been “present, but absent” on the job. Not recently, but there have been those days. 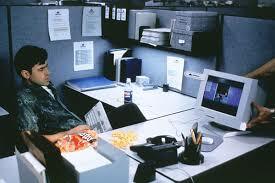 As the Office Space character Peter Gibbons says, “It’s not that I’m lazy, it’s that I just don’t care.” There were times in my professional past when the work wasn’t challenging, the bureaucracy and politics were oppressive, and the mission was unclear. All of those conditions result from poor leadership in the enterprise. When the work environment is such that the effort seems futile, presenteeism is the result. The truly alarming fact is that no employee is immune, and presenteeism can become an insidious cancer within an organization. There is more to the costs associated with presenteeism than just lost productivity. Customer and supplier relationships can be damaged, co-workers can be “infected,” and employees can suffer long-term physical and mental harm. It has long been known that distracted employees are more likely to be injured on the job, and long-term presenteeism can result in atrophy of a worker’s skills and abilities. Presenteeism is more than just a productivity issue – it is also an employee wellness issue (for the benefits staff to consider) and a workers compensation issue (for the risk management staff to consider). The natural inclination among managers with an industrial-era scientific management mindset (archaic in this knowledge-economy era, but still very much alive) is to “buckle down” to make sure that employees are working to their full potential at all times. That’s a knee-jerk reaction that leads to micromanagement and paternalism. Approaching presenteeism from that angle is anathema to employee engagement and knowledge worker productivity. My own doctoral research examined this area quite closely. The true answer to presenteeism is not to treat the symptoms but to cure the underlying disease. Remove the conditions that cause employees to “check-out” and do just enough work to avoid getting fired. That means providing challenging work, adequate authority, opportunities for personal development and mastery, and then get out of their way. A great book that gets at the heart of motivation for modern-day knowledge workers is “Drive” by Daniel Pink, or check out his TED talk on the same material. Employers, specifically leaders and managers, must come to grips with the magnitude of the presenteeism problem. Perhaps more importantly, they need to recognize the difference between effective and counterproductive responses to the presenteeism problem. Our economic health as well as the physical and mental health of our employees depends on it. This entry was posted in Risk Management and tagged management, presenteeism, risk management, workers compensation on March 18, 2016 by drdavidallenbrown. In my younger years, I enjoyed the irreverent humor of “Mad Magazine” with its fictitious mascot, Alfred E. Neuman. I’m not saying that Warren Buffett resembles the goofy Mr. Neuman in any physical sense, but Neuman’s catch-phrase, “What, me worry?” comes to mind as Mr. Buffett has made some news with the recent release of his annual letter to Berkshire Hathaway shareholders. 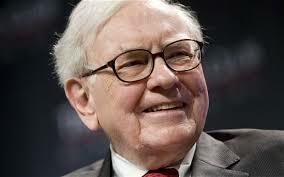 Needless to say, I have a great deal of admiration and respect for the Oracle of Omaha. Still, I am a bit perplexed by his recent discussion of climate change in his annual shareholder letter. In general, it seems clear that Mr. Buffett prefers to err on the side of caution by assuming that the threat of climate change is real. The letter refers to major commitments that BH Energy has made “to the future development of renewables in support of the Paris Climate Change Conference.” With respect to a proxy proposal that will come before shareholders this year, Mr. Buffett waffles a bit. He does say that he believes it is “highly likely” that “climate change poses a major problem for the planet.” But then Mr. Buffett proceeds to explain that he considers the unknown consequences of climate change to be so potentially catastrophic that even if the chances of the consequences coming to fruition is only 1% it merits a “highly likely” conclusion in order to invoke action before it’s too late. Oh well. What, me worry? This entry was posted in Insurance and tagged Berkshire Hathaway, climate change, insurance, Warren Buffett on March 4, 2016 by drdavidallenbrown.